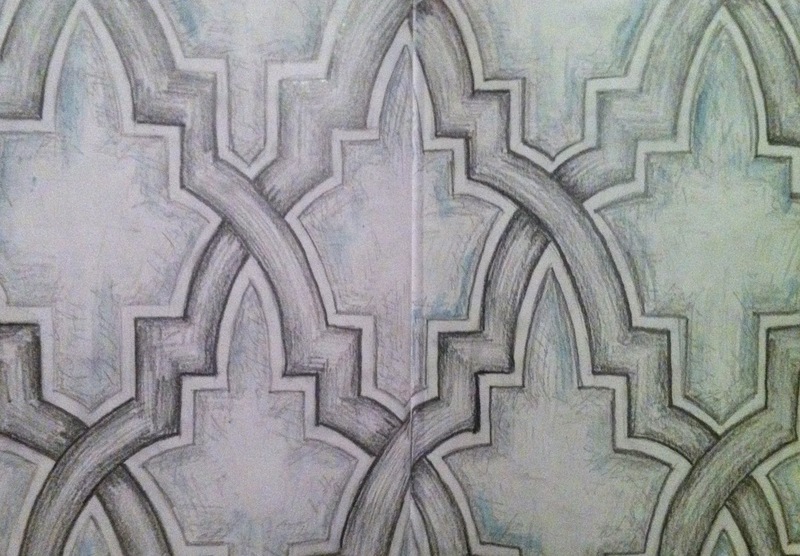 Freehanding patterns is HARD. Normally, and ideally, I would use a ruler for this type of thing to insure that everything is even. One of the most irritating things I think people say to artists, when describing their own artistic skills, is "I can't even draw a straight line." Neither can I. That's what rulers are for. However, I didn't really feel like it for this one, though, and was kind of curious what I could do by myself. So it's a bit off, but I don't think it's any the worse for it. No, it's not "any the worse"! I like that it's not full of ruler-drawn straight lines. It looks more natural and interesting, drawn "freehand". 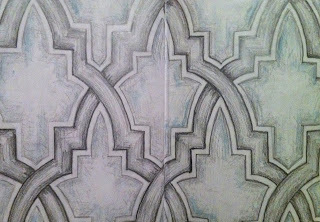 I so like these geometric patterns from Morocco and the East. Yesterday, I was looking at some images of buildings in Andalucia, which have a huge influence from Morocco and Moorish art and architecture. Wonderful! Great drawing - a good exercise for your hand and eye too.